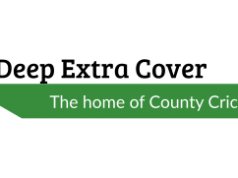 The two most successful counties in the history of the County Championship do battle at Headingley in what is a mouth-watering clash between youth and experience. Surrey are a side of precocious young talents, that will go to Headingley unshackled by fusty portents. An opening defeat against Nottinghamshire, during which Ben Foakes admitted they hadn’t yet got their collective heads around Division One cricket yet, augured poorly. Rain-affected draws against Somerset and Durham, however, held more reasons to be optimistic that Surrey can survive on their return to the top flight. Yorkshire continue to trust the nucleus of the squad that has taken them to back-to-back titles. Under the watchful eye of Andrew Gale, their fledgling campaign has lacked consistency thus far. At Trent Bridge, the White Rose’s bowling ranged from the sublime, on the third afternoon when they pegged the hosts to five wickets down, to the ridiculous on the fourth morning when they shedded runs to the lower order. As last season, they have amassed encouraging totals with the bat in spite of mixed contributions from the top five. The visitors will look to exploit a tendency to shed early wickets in clumps. Ravi Rampaul looked like Jimmy Ormond with three jumpers on when he turned up early season, but only the feted Jake Ball has more than his 14 wickets so far. He has been named in the squad for the trip north but Mathew Pilans was preferred to him against Durham. Anyone heading to the game will be treated by some outstanding individual battles to savour. Two of the county game’s finest wicketkeeper-batsmen in Steve Davies and Jonny Bairstow will lock horns, and England buccaneers Jason Roy and Joe Root bestride the two teams. Assuming weather doesn’t intervene- as it looks to be on the third and fourth days- this could match the Trent Bridge thriller for entertainment if it goes the distance. Stoical left-hander Arun Harinath might not be the shining light in a batting lineup that includes Roy, Davies and Sangakkara, but his development has been intriguing to watch. Having only played 63 first-class matches since graduating from the Surrey academy ten years ago, the 29 year-old got his chance when Rory Burns was hospitalised after a sickening collision with Moises Henriques last season. This allowed former coach Graham Ford to attend to his game and this paid dividends, according to Harinath. He hit a century in the opener against Notts and fell just short of another ton in the Durham game; contributions that he will need to repeat if Surrey want to stay up. Alex Lees did himself no harm with two impressive knocks in front of the TV cameras last week but this only came after a challenging period in his career. A lean 2015 was a real setback for a batsman earmarked for big things by Geoffrey Boycott and Michael Vaughan from early on; not character references taken lightly in the Ridings. An encouraging start to the season has led to head honcho Martyn Moxon suggesting he is back to his best- another hefty knock against Surrey would convince plenty that the director of cricket is right. Zafar Ansari injured his thumb against Durham which sees James Burke included in the thirteen-man squad for the game. It will be scorchio on the first two days of this game but it could be a different story on Tuesday and Wednesday with showers forecast.